Bid on the original painting. This is the bridge that crosses Ellicott Creek, next to Glen Park. In the warm summer months kids like to fish along the edges of the creek, but this was a school day and it was too cold outside to play hooky-so there's no fisherman in this painting. The bridge was the tricky part, I wanted to imply the detail of the stone work and concrete without overworking it. 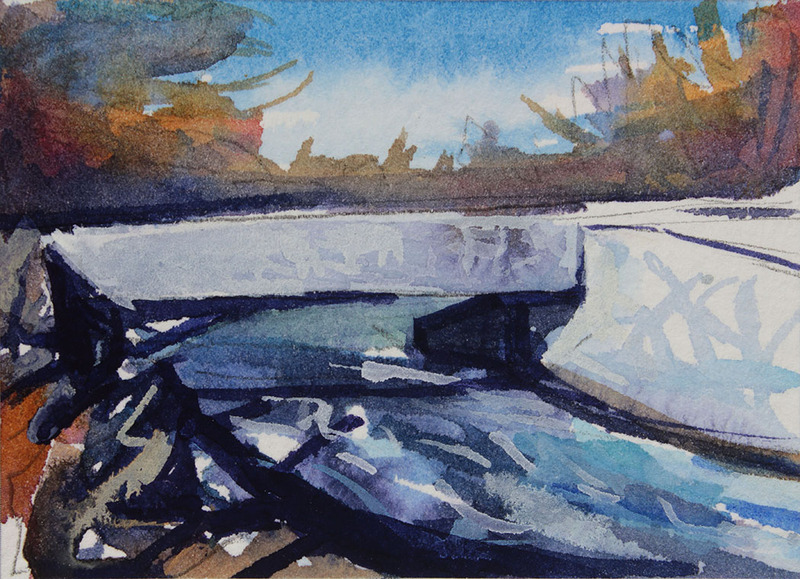 I emphasized the abstract quality of the shadows and the vegetation along the edge of the creek.